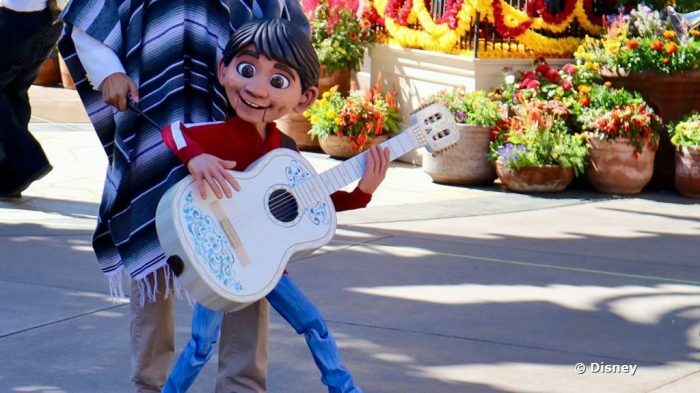 The start of the Epcot International Flower and Garden Festival on March 6 will bring with it new musical entertainment in the Mexico pavilion — the story of Disney•Pixar’s “Coco” as interpreted by Epcot mainstays Mariachi Cobre. The popular mariachi band, which has performed in Epcot since its opening day, will interpret the music of the film “Coco” alongside a duo of Folklórico dancers. Together they will relate the tale of Miguel Rivera, the young hero of the film. The dancers will encourage onlookers to join them, while a hand-crafted puppet of Miguel himself will also appear in the celebration. Fans of Mariachi Cobre will be happy to hear that the band will continue performances of traditional mariachi music in the pavilion in addition to this new Coco-themed show. Below is a video from “A Musical Celebration of Coco” that was performed for a limited time at Disney California Adventure. We suspect this new Epcot show will be similar. Do you love Mariachi Cobre as much as we do? Are you eager to see them perform the heartwarming music from the lovely film Coco? Please leave a comment below!